What is a cluster headache? What does the pain feel like? Do women get more cluster headaces than men do? 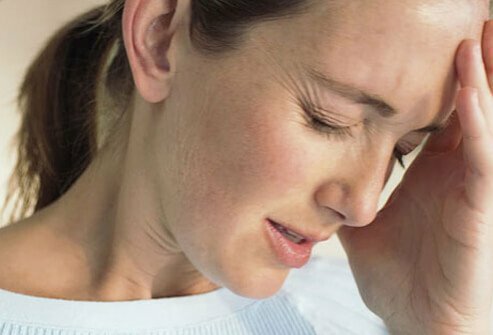 What are the signs and symptoms of cluster headaches? What procedures and imaging tests diagnose cluster headaches? Which medications are used the treatment of pain management, prevention, and other symptoms of cluster headaches? What is the prognosis for cluster headaches? Are they life threatening, can they be cured? How can you prevent cluster headaches? Cluster headache is pain that occurs along one side of the head. It's frequently described as pain that occurs around, behind, or above the eye and along the temple in cyclic patterns or clusters. The pain of a cluster headache is very severe. Many patients describe a “drilling” type of sensation. Cluster headaches are headaches that come in groups (clusters) separated by pain-free periods of months or years. During the period in which the cluster headaches occur, pain typically occurs once or twice daily, but some patients may experience pain more than twice daily. Attacks tend to occur at about the same time every day and often awaken the patient at night from a sound sleep. The pain typically is excruciating and located around or behind one eye. Some patients describe the pain as feeling like a hot poker in the eye. The affected eye may become red, inflamed, and watery. The nose on the affected side may become congested and runny. Unlike patients with migraine headaches, patients with cluster headaches tend to be restless. They often pace the floor, bang their heads against a wall, and patients can be driven to desperate measures including contemplating suicide. The specific cause and anatomic origination of cluster headaches isn't known. MRI studies suggest dilation of the ophthalmic artery during an acute cluster headache, while PET scans reveal activity within the cavernous sinus. However, many patients with other headache types also have revealed abnormalities in similar regions, so these tests aren't definitive. There is some evidence that the hypothalamus may be involved in the recurrence cycle of cluster headaches. Activation of the trigeminal ganglion can cause many changes associated with cluster headache, but the trigger for activation of this region hasn't been identified. Males are two to four times more likely to develop cluster headache than females; however, the overall frequency is quite low, with a prevalence rate of about 1 per 1,000. Because of the rarity of the condition, limited information is available. Although the majority of people are adults, cluster headache has been reported in children as young as 6 years of age. Many patients report their headaches begin while sleeping. Additionally, alcohol can trigger cluster headaches in patients who are in the midst of a cycle. Histamines and nitroglycerin can trigger cluster headaches in patients. Seasonal variation has been described, although this is inconsistent for many patients. Some patients have clusters precipitated by environmental changes or changes in stress or activity levels. Hormonal factors, or menstruation, do not seem to trigger cluster headache. Other risk factors include smoking and a family history of the problem. Cluster headache is always unilateral, or one-sided. However, some people may experience some variability of the side on which their headache occurs. Most people with cluster headaches describe their pain as occurring around or behind the eye. Pain may radiate along the forehead, into the jaw or along the gum line and into the teeth, or across the cheek of the affected side. Infrequently, pain may extend into the ear, neck, or shoulder. Watering of the eye (tearing). Some people may only experience some redness of the conjunctiva. People with cluster headaches also may have symptoms that are more commonly associated migraine headaches, including sensitivity to light, sounds, or odors may occur. However, unlike migraine headache, movement does not worsen the pain of a cluster headache. In fact, many people describe a sense of restlessness during their pain. The headaches associated with cluster occur in groups. While the headaches themselves may be brief (as short as 15 minutes), the headaches can recur up to eight times in 24 hours. Headaches may last as long as 3 hours. Cluster cycles may last for only a single day, or may linger for many weeks. The diagnosis of cluster headache is typically made after the history of headaches has been explored and a physical examination is completed. Cluster headaches are unique in their presentation, and often the history is sufficient to make the diagnosis. While no imaging study or specific blood test can confirm the diagnosis of cluster headache, an MRI or CT scan of the brain may be ordered to confirm that there are no other contributing factors that may mimic cluster headache symptoms. In some cases, ophthalmologic evaluation is needed to exclude problems within the eye itself that may be causing symptoms. The treatment of cluster headache can be divided into two distinct categories -- relief of the acute headache and prevention of future headaches. Oxygen deliverey: Delivering oxygen by a face mask has been shown to help a majority of people within a short period of time. However, this can be unwieldy, and most people are unable or unwilling to transport oxygen canisters if they need to travel. Injectable sumatriptan (Imitrex, Alsuma, Samavel DosePro) has been shown to be beneficial in many of patients with cluster headache. This treatment is contraindicated in patients with cardiac disease or untreated hypertension. Nasal spray or oral versions of this medication have been less effective than the injectable. Dihydroergotamine, given intravenously, can be extremely effective in treating a cluster headache, but can be difficult to administer acutely and cannot be used if a patient has used sumatriptan in the preceding 24 hours. Intranasal lidocaine has been suggested as a treatment option, but must be administered in a specific manner and is ineffective if not given correctly. Steroids can be extremely effective to decrease a headache cycle. Steroids should not be used frequently, and are for short-term use only as long-term use can lead to significant complications. Verapamil (Calan, Varelan), lithium (Lithobid, Eskalith), valproic acid (Depakote, Stavzor), topiramate (Topamax, Quedxy, Topiragen, Trokendi XR), and melatonin can all be of benefit in reducing the frequency and severity of cluster cycles. Surgery for intractable cases has been suggested. Radiofrequency lesioning of the trigeminal ganglion can decrease cluster headache frequency, but is associated with significant side effects and nerve loss. Gamma knife lesioning and deep brain stimulation are being studied as possible options with less risk of permanent nerve change. Over time, cluster headache seems to diminish in frequency, but this may take many years. Cluster headache can go into remission for an extended period of time and then recur. As such, discussion with your physician regarding need for continuation of treatment is warranted. Cluster headache does not appear to be associated with other neurological illness, such as Alzheimer's dementia, Parkinson's disease, or multiple sclerosis (MS); however, many individuals with multiple sclerosis are known to experience severe headaches. Once cluster headaches have been accurately diagnosed, long-term treatment can be beneficial to decrease or prevent future cycles. However, as the specific underlying cause isn't known, it may take some time to control the headache cycles. Bahra, A., et al. "Cluster headache: a prospective clinical study with diagnostic implications." 58.3 (2002): 354-361. Blanda, M, MD, et. al. Cluster Headache. Medscape. Updated: Apr 25, 2017. Dodick, D. W., et al. "Cluster headache." Cephalalgia 20.9 (1994): 787-803. Ease the pain with our Headaches Quiz. Learn common symptoms like throbbing, light sensitivity, and aura. Find out what causes your pain and learn about treatments and remedies to ease the discomfort in your head. What treatment did you have for cluster headaches? What triggers your cluster headaches? What symptoms do you get with your cluster headaches? Deep brain stimulation (or DBS) is a way to inactivate parts of the brain that cause Parkinson's disease and its associated symptoms without purposefully destroying the brain. In deep brain stimulation, electrodes are placed in the thalamus (to treat essential tremor and multiple sclerosis) or in the globus pallidus (for Parkinson's disease). Headaches are the most common reason why a person goes to the doctor or other healthcare professional for treatment. There are different types of headaches, for example, migraine, tension, and cluster headaches. The most common type of headache is tension headache. Migraine is much less common. There are few similarities between migraine and other headaches, for example, the severity of the pain can be the same, mild, moderate, or severe; and they can occur on one side or both sides of the head. However, there are many differences between migraine and other types of headaches. Migraine headaches also have different names, for example, migraine with aura and menstrual migraine. Certain foods like red wine, aged cheese, smoked meats, artificial sweeteners, chocolate, alcohol, and dairy products. Untreated migraine attacks usually last from 4 to 72 hours, but may last for weeks. Most headaches resolve within 24-48 hours. Doctors don't know exactly what causes migraine headaches; however, other headaches like tension headaches have more specific triggers and causes. Additional tests usually are required to diagnose migraine from other types of headaches, diseases, or other medical problems. Most headaches can be treated and cured with home remedies like essential oils, massage, and over-the-counter pain medication like acetaminophen (Tylenol) and NSAIDs (nonsteroidal anti-inflammatory drugs) like naproxen (Aleve, Anaprox, Naprosyn) or ibuprofen (Advil, Midol, Motrin). Most headaches resolve with OTC and home remedy treatment, while your doctor may need to prescribe medication to treat your migraines.If you have the "worst headache of your life," seek medical care immediately. Occipital neuralgia is a type of headache that involves inflammation or irritation of occipital nerves. Signs and symptoms include a stabbing and throbbing head pain, and an aching pain in the upper back of the head and neck. Potential causes include infection, irritation, or trauma of the occipital nerves. This type of headache is diagnosed by physical examination findings and imaging tests. Treatment involves a multidisciplinary approach that includes massage, rest, physical therapy, heat, muscle relaxants, and anti-inflammatory drugs. Invasive procedures and even surgery may be considered if first-line treatments fail to bring relief from the chronic pain of this type of headache. Take our Sleeping Quiz to learn which sleep disorders, causes, and symptoms rule the night. Trouble falling or staying asleep? Find out which medical treatments fight sleep deprivation, apnea, insomnia, and more! You know it's time you quit smoking. Learn the myths and facts about quitting smoking with the Smoking Quiz. When it comes to smoking, quitters always win! A tension headache s one of the most common types of headaches, and the exact cause is not known. Factors that may contribute to tension or stress headaches are lack of sleep, increased stress (referred to as a stress headache), skipping meals, dehydration, medical diseases or conditions, anxiety, or changes at home, work, or school. Treatment of tension headaches include prescription and OTC medications, stress management, and treating any underlying illness or condition.